According to slashgear "HTC’s upcoming Sense UI update to version 3.5 has been leaked in a demo video made available by XDA.cn. 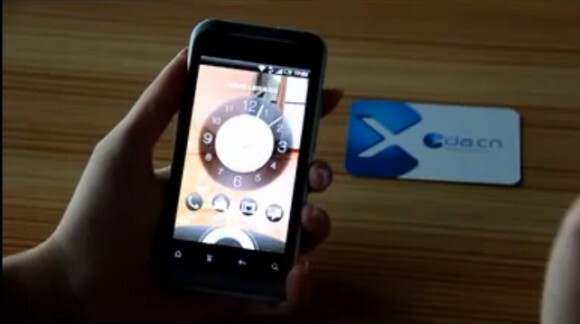 The five-minute long video shows the HTC Sense 3.5 running on what appears to be the female-focused HTC Bliss. The interface looks more simplified from the current version with new transitions and lock screens". What’s noticeably gone is the three-button Sense launcher bar that normally sits at the bottom of the screen. In its place there is instead two separate dedicated buttons for an app drawer and phone. There appears to be a new method for adding and removing home screens while the widgets also look to have been tweaked.